"She was in school that day when it happened. Spasms in her right hand, scaring her half to death. Shreyasee’s friends told the teacher, and they called us. We rushed there to take her to the doctor. This was the second time. Something was obviously wrong. We never thought it would be a tumor." About a month ago, she began having unexplained spasms and tingling sensation in her right hand. When the feeling spread to her leg, her father rushed her to the hospital where she was diagnosed with brain tumor. Although she was operated, Shreyasee’s tumor turned out to be cancerous, and she needs chemotherapy as well as a stem cell transplant to beat the disease. For daily-wage farmers, Gautam and Neetu Patra, their daughter’s illness came as a shock. They did not know how to react when she complained of twitching and spasms in her right hand one day. Hoping it would fade away, they advised her to rest. When it happened again, they rushed to a hospital. The doctor suggested a CT scan of the brain, which confirmed a brain tumor. 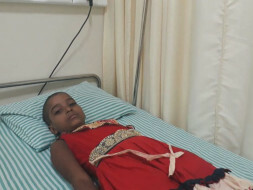 The total cost of chemotherapy is 1400000 but unfortunately, Shreyasee's parents are unable to afford the cost of the surgery and need our help to raise funds.Your contribution can help Shreyasee get the treatment she deserves. Shreyasee is doing well and is at home. She is on medication and is responding well to the treatment. 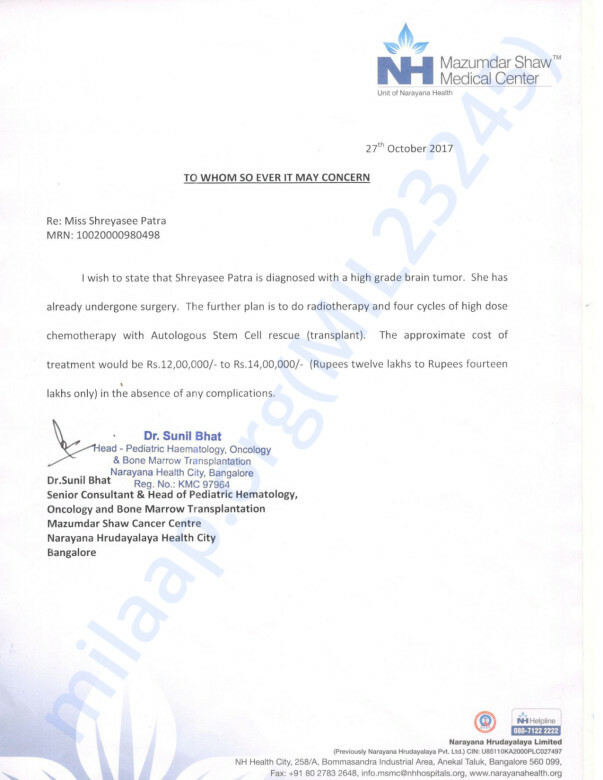 She is undergoing her chemotherapy currently and doctors will let us know further course of action soon. Shreyasee is doing well and is at home. She is on medication and is responding well to the treatment. 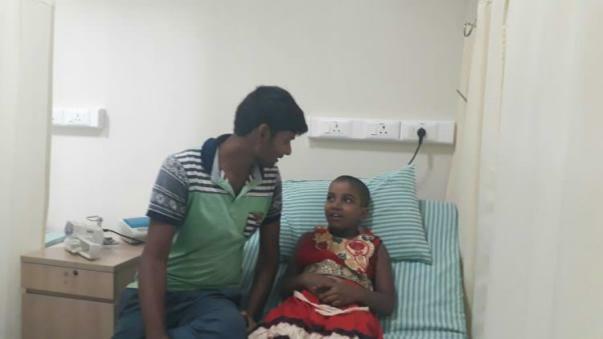 She is advised to come for her regular check ups to the hospital and is also undergoing Vaccination. Shreyasee is at home in Kolkata right now. She is doing fine and has a slight cough and cold, which could be due to the weather. The doctors have said that her reports are good, and have asked her to come for a check up again after 6 months. 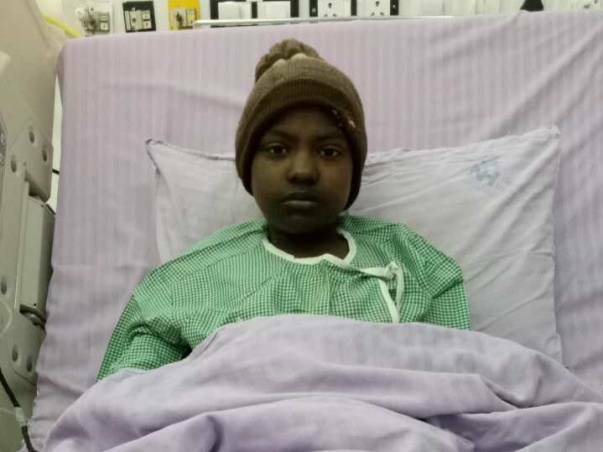 They will conduct a full check up after six months to see how much she has improved and take a call on the further course of treatment then.